Wide shoulder straps with vertical back strap distribute weight comfortably, taking the strain off of your neck. 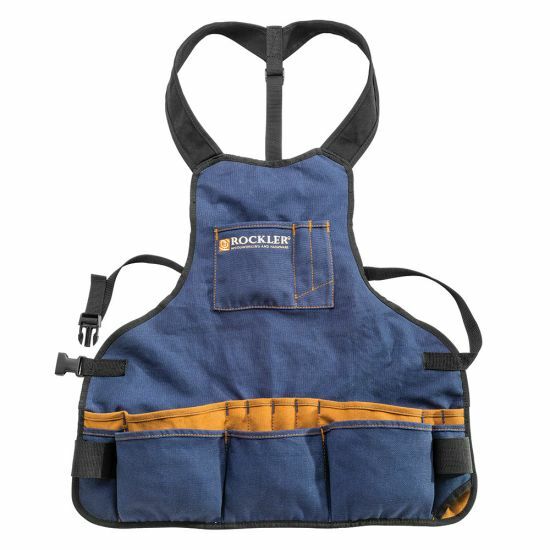 With its large, padded shoulder straps and adjustable back strap, our Broad Shoulder Apron keeps your most important tools within easy reach without sacrificing comfort. Made from 14 oz. duck cotton, it is sure to stand up to years of hard use. The sturdy waist strap features a quick-release buckle and all openings are generously sized so you can get it on and off quickly and easily. Love this apron has enough pockets to keep my hobby tools ready whatever I may be working on. The fit is comfortable and stays put in place. This was a gift to my son. Looks well made; plenty of pockets for pencils, small plane, screws etc. ; wide shoulder straps for comfort. Very nice and convenient to have all those pockets. I did need a little help from the Mrs to adjust it properly in the back but took very little time. Definitely happy I bought it since the one I had only had a couple of pockets. Great fit, lots of pockets! Awesome!! I’m a wood manufacturing student and I use this everyday all day for classes. Keeps all my essentials handy. The small size is perfect. I love the closure with no pulling on my neck!! Being a woman I’m not used to carrying around things in my pockets so this apron has been a life-saver in the shop every day. Nice apron. 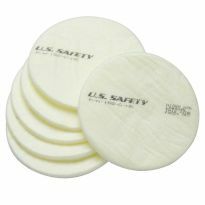 Keeps dust /woods chip away from my shirts. Tape measure and pencils pockets make it easier. ?????? This is the most comfortable shop apron I have ever owned and used. I hated my old apron with the skinny strap that pulls down on the back of my neck. This apron rests on your shoulders and has no neck strap. The pockets are generous, well laid out, and very functional. The only issue is that sawdust collects in the pockets, but I can live with that. Great apron for any trade! This apron is very handy with the useful pockets. Very handy to keep project tools close at hand. Excellent. Has plenty of pockets for my go to tools. Apron replaced a 30 year old apron with a single small pocket. I highly recommend this apron. Exactly as advertised. Fits my wide shoulders well, is comfortable with all the necessary pockets. Only complaint are the two breast pen pockets, they are very short for any normal length pen/pencil. Otherwise 5 stars. Also it’s only 15$?! Its everything you advertised. Its nice to receive a product that is actually what you said it would be . I think it is great. I really like this apron, the variety of pockets is great. The front pouches have been great holding dry wall screws while I have been up on the ladder installing ceiling dry wall. I am also able to clip my cordless drill to the loop on the side. Really helps keep my shirt clean and gives me a place to carry tools and pencils. I like this apronafter initial use. It’s great to have some extra pockets to keep your pencil, tape measure, square, etc. handy. Only slight drawback so far is that it collects some sawdust in the pockets. No big deal. A didn’t realize how much I’d like it until I got it. Seems well made. Fits comfortably and easy to adjust. Great purchase. Handy, very well made. It more than paid for itself in time saved looking for things I would have otherwise laid down. The Broad Shoulder Apron is a great value at twenty bucks. Pockets are large & plentiful. Straps are broad enough, so they don't dig & rub your neck. I think it will last many years. I am happy that my wife suggested that I order it. .
Well made and should last a long time, well worth the price. Hung up my tool belt years ago and started using an apron. This one is very well designed and built. Just got them yesterday. Like them so far. I love it! It is very well made and fits well. It's exactly what I was hoping for!! I had been using a BBQ apron that my kids gave me about 100 years ago. The strap was around my neck and when I put too much in the two pockets that it had I'd end up with a sore neck. 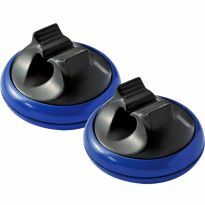 The Rockler apron eliminates that problem. It's very comfortable and has many pockets. I especially like the two small pencil pockets at the top of the apron and the 4 at the bottom. I always carry several pencils, #2 and .5mm and a couple of 6 inch steel rules. With my old apron I always had to dig them out of one pocket. Now, each one has a home. The other pockets carry a 2" engineers square and a 6' tape measure. I'm still working on filling up the other pockets. I love this apron. With that, I would have liked it to be a few inches longer. I highly recommend it. This is made of substantial cloth, with great detailing in the stitching and reinforcement. An excellent array of pockets and loops! I discarded my old tool belt and switched over to this. Couldn't be happier. Also makes a useful hiding spot for my favorite tools that I don't want the Mrs. or family members who are over helping reallocating. Best design and material for an unbelievable price! I have been on the hunt for a good shop apron. My first was a long, thigh length, canvass apron from another supplier, and while it is nice, there are two few pockets, and they are not well placed. I do like the weight of the canvas material, its stiffness makes placing rulers, pens, punches, etc into the pockets a simple one handed act. 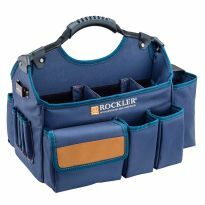 I then got an apron similar to this Rockler apron in look, from another supplier. It was made of lightweigh ballistic material which sounded like a plus. But I didn't like it. The material was said to be strong, but it had no structure, so placing a tool in a pocket required two hands and multiple attempts. Lastly, the ballistic nylon catches on everything and started fraying with little use. This apron was definitely not worth the money to me. They say the third time is a charm, and my third apron was this Rockler broad shoulder apron. It hit all the desirables for an apron. The material weight is in between my canvas and nylon aprons. 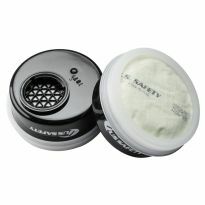 It is reinforced in certain areas with a little bit heavier material around the edges of certain pockets. It fits like a dream, very comfortable, although I did have to rethread the buckle as it had a twist in it when it arrived. But once that was done, it functioned without issue. There are lots and lots of pockets, of various sizes. 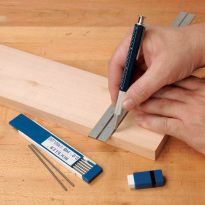 The great thing about this is that you can pick and choose which ones work best for specific tools, rulers, etc. without fear of running out. I don't think you will ever fill them all, and I wouldn't advise doing that as I am not sure the shoulder straps would still be comfortable if the apron was overloaded. But the number of pockets and their placement make it very likely that you will find a convenient spot for your most often used go to tools/rulers/marking knife/pencil. I do wish that there was a better place to attach my tape measure. I keep it in the bottom center pocket of the apron, which has worked well, but a tape measure specific feature would be helpful. I also wish the fabric/material was a little stiffer. In fact, if this was made out of a waxed canvass material with the same pocket layout, and a designated spot for a tape measure it would be perfect. And I wouldn't mind paying a little extra for these improvements. As for cost, you can't beat the price. I paid $20 bucks, but now it's on sale for $15. This is a great quality apron, and for the price, it is an unbelievable buy! 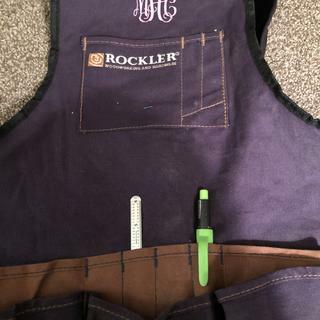 My plan is to make an apron of my own design, but this Rockler apron will let me figure out where I like to place various items. 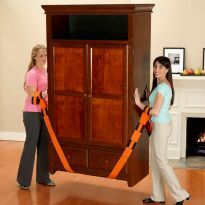 But if Rockler updates this apron with a stiffer material and a tape measure holder/feature, I may forgo making my own. Lastly, Rockler shipping is slow! Getting out their door, and getting to my house takes forever compared to just about everyone else. 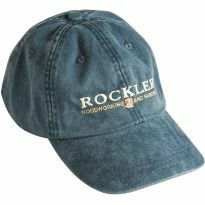 If I can avoid buying a Rockler product directly from Rockler I do. But sometimes I decide the wait is worth it, as Rockler has many good products and there are times where they are the only source. The apron helps distribute weight to the shoulders, unlike single strap aprons that put all the weight on the neck. Great design! The apron has proven to be a handy tool when doing projects. This is one of those shop tools that, once I was using it, hand-to-forehead and muttered "why did I wait so long?". This Broad Shoulder Apron is a perfect fit. Snug in all the right places but no binding anywhere. 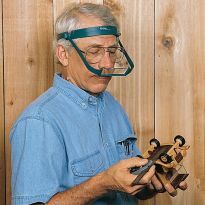 After safety glasses, it's the next thing that goes on. It is easy on and easy off. I read the reviews from others, decided i wanted the shoulder strap version of an apron, and ordered it. Not for tools, but works perfect for feeding bottle calves and carrying all my vaccinations and extras. Simply wanted to give it a try. Most of my jobs are light carpentry and do not find a tool belt practical. This will help keep my necessary woodworking tools and utensils close at hand! Looks like a useful item. shoulder straps for comfort !!! Working on rebuild for my daughter. Needed the apron Badly. My girlfriend is mad i have glue on all my clothing! I saw it and figure I give it a try, we shall see! Looks durable and comfortable and the price was right. Price Hope It's worth it? need one and its on sale! it will work for my needs. Good pocket sizes too. Everything handy and in reach. I am on my second one, I cannot work without this apron! Most of the shop aprons I use have very thin straps around the neck and shoulder areas which after hours of use cause neck strain... I like the design of this apron and can't wait to try it! It appears to be a very well-made apron. Needed for my Model Railroading hobby. Apron are a great tool to carpenter because you are less like to leave tool behind. Needed a quality apron and this was at a good price. Gift for a Buddy who is starting a Palomar College class. Once you start using a good shop apron you wonder why you haven't had one years earlier. needed a sturdy multi-pocket shop apron. 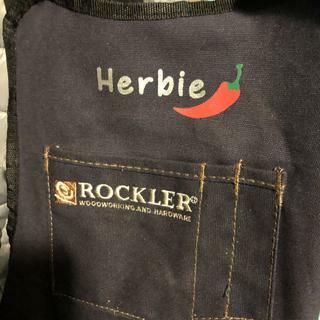 Husband needed a new work apron and this one looks like a good quality that will last. I have this apron and I can't even fit a regular pencil in the pencil pockets, much less a carpenters pencil. The pockets are too small. Has anyone else had this problem? BEST ANSWER: I purchased my apron about 6 months ago and I love it. I have been looking for years for a shop apron that did not hang around my neck. I often wear T-shirts and the rubbing is very annoying. This apron solves that problem by distributing the weight across the shoulders. I use # 2 pencils and they fit the pencil slots fine. I love it and would recommend it to anyone. I have the flat carpenter pencils and the fit fine. "cell phone" pocket where I normally keep the remote to my dust collector (who is carrying around their 800 dollar phone in a wood working smock anyhow?). All my pencils fit the pockets. There is plenty of room for the tools I use in the shop. All my pencils fit just perfectly! no problems here!!! My husband has a larger waist (51"). Will this apron fit him comfortably? I don't think this would be the one for him. I have a 34 inch waste and it just fits comfortably on me. Not every one has less than a 54" waist, I need to make an extension for the quick release buckles. What is the correct size for the existing buckle so I can correctly match it up to make an extension? How deep is the top bigger pocket, want to see if my phone will fit? BEST ANSWER: yes, we are a retired community woodworking guild of over 800 members. we purchase several hundred of these and the longer cross back aprons. they work well. I still have mine -- bought it at the Phoenix store. Yes. Its a canvas like denim weave. Are the shoulder straps adequately padded? BEST ANSWER: I think they are. I use my apron all the time and it is fine. Mine is not padded at all. Is this apron made in the USA? I am 6'6'' and 360 pounds im not the one size fits all type of guy LOL but is anyone close to my size who hast this apron? BEST ANSWER: Based on my size on 5'9" 150 lbs this apron would not fit you. It is an excellent apron for working around the home shop. I'm 6'3" and 285. This fits me pretty comfortably, so it'll be tight.